Canada's first 400+ KM* range sub-compact SUV. 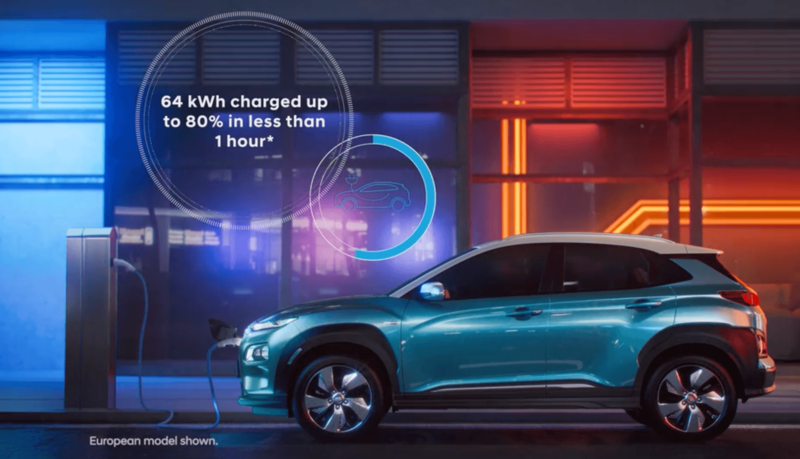 The New KONA electric is the first electric sub-compact SUV in Canada, featuring a striking design, cutting-edge connectivity and advanced safety features. This ground-breaking vehicle also combines bold and roomy SUV style with impressive electric driving range with a segment-leading estimated EPA range of 400+ KM. With no visible door handle, the hidden passenger side rear door on the Veloster remains an easy access to the rear seat without compromising style. The available dual exhaust is centred on the Veloster Turbo models for a distinctive look and sound. 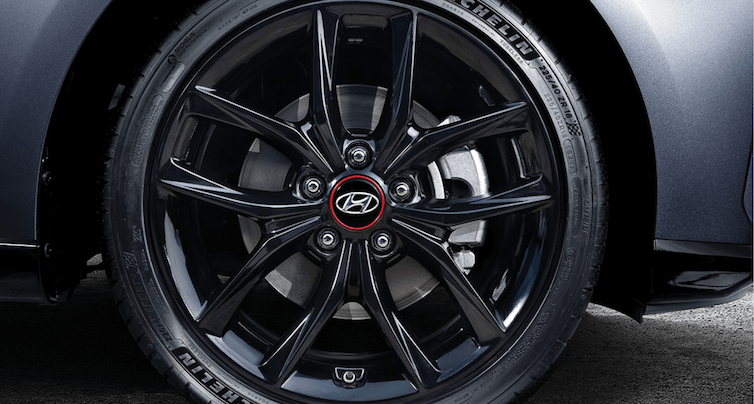 Choose between three styles of 18 inch wheels, all designed to complement the 2019 Veloster’s low profile and offer better control on the road. 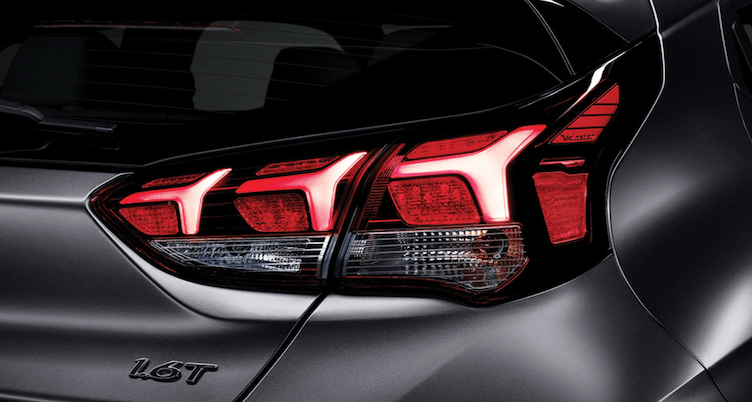 Designed to offer increased visibility at night, the available efficient LED tail lights have a sleek curved style that accentuates the assertive bodylines of the Veloster. 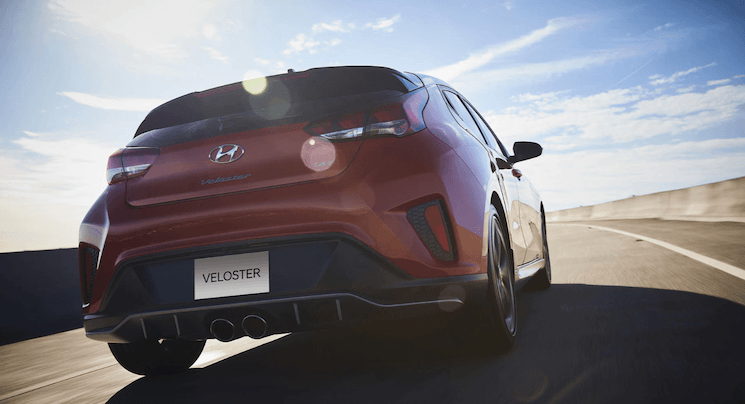 The Veloster was built for drivers through the exterior and interior. Try out the 1.6 Turbo Tech model and experience even more focus on the driving cockpit with a colour contrasted environment. If staying connected to your favourite apps is important to you, the standard 7.0 touch-screen gives you Apple CARPLAY™ AND ANDROID AUTO™ smartphone connectivity. Stay connected with your friends and family via Bluetooth or use the rearview camera to navigate tight parking spots. For the driver who travels far and wide and doesn’t want to access cellular data, the available 8.0 touch-screen offers a fully integrated navigation system. The extra-wide sunroof will let the natural light of the sun in through on both the driver and front passenger. You can control your climate with the available automatic climate control settings. 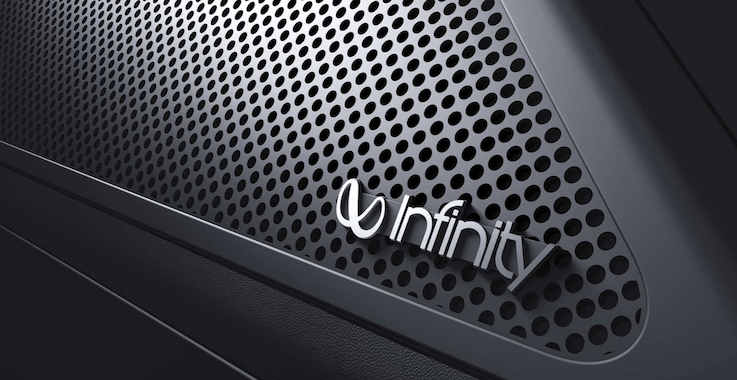 Just set your preferred temperature and the system will continuously maintain your settings. Take the chill out of the Canadian winter mornings with the standard heated front seats and steering wheel of the Veloster. Don’t worry if you can’t find your keys in your pockets or purse. 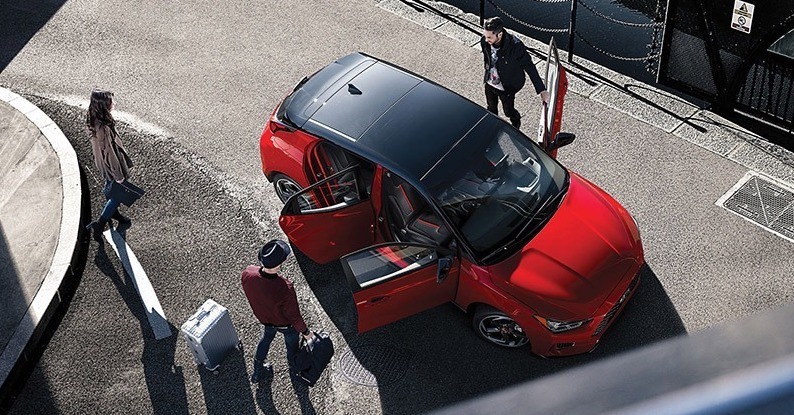 With an available proximity key, the Veloster will sense the key FOB’s presence and allow you to unlock and open the doors and start the vehicle, all by the press of a button. The available 1.6L turbocharged engine which produces 201 horsepower is paired with the standard 6-speed manual transmission. The driving enthusiast can choose the available 7-speed dual-clutch transmission with paddle shifters. Additionally, Turbo Tech models boast Active Sound Design which enhances the sounds within the cabin for an exhilarating driving experience. Delivering 147 horsepower, the standard 2.0 L engine in the 2019 Veloster can be paired with either a manual or automatic transmission. With your choice of driving modes, you will get the feel that matches your style. Hug the road closer with Torque Vectoring Control as the Veloster precision adjusts the brakes on corners and twisty turns. With the power of the engine applied to the appropriate wheels, you improve grip and stability for a more agile drive. With the press of a button, you can personalize your throttle response and steering control. Match your driving style with either Normal, Sport, or Smart settings. To increase control and comfort, Veloster Turbo models are fitted with a McPherson strut front suspension, gas shock absorbers, coil springs, and a front stabilizer bar. The rear suspension uses a lightweight multi-link design for further control. With the standard Android Auto™ and Apple Car Play™ smartphone connectivity on the 7.0” display, you can use the touch screen or voice commands to use navigation, stream music, or interact with your favourite apps. This is augmented with the available 8.0 inch touch-screen which offers the complimentary Hyundai Map Care system. Keep your focus on the road with the available Head-Up Display as it projects speed, navigation commands, and other important information in your line of sight. The display is adjusted in different driving modes. Located in the centre console is an available charging station offering the ease and tidiness of wireless charging.